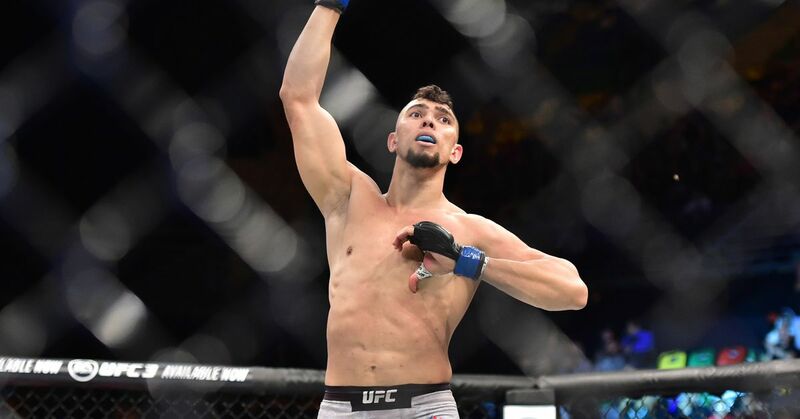 With Ovince Saint Preux out of a fight with Misha Cirkunov at UFC 235 due to an injury, rising sensation Johnny Walker will step up to compete in Las Vegas on March 2, sources told MMA Fighting. Walker went on social media shortly after MMA Fighting reported the injury on Saturday to call for a fight with Cirkunov. Less than 72 hours later, the new match-up is on. Walker (16-3) has made some noise since his Octagon debut in November, when he finished Khalil Rountree in less than two minutes in Argentina. In his return to the cage earlier this month, Walker stopped Justin Ledet in mere 15 seconds at UFC Fortaleza. Cirkunov (14-4) enters the bout coming off a first-round submission victory over Patrick Cummins at UFC Moncton, getting back on track from defeats to Volkan Oezdemir and Glover Teixeira. Cirkunov also holds stoppage wins over Nikita Krylov and Ion Cutelaba in the UFC. UFC 235 will take place at the T-Mobile Arena in Las Vegas and feature Jon Jones vs. Anthony Smith for the light heavyweight gold as the headliner. In the co-main event, Tyron Woodley defends the 170-pound title against Kamaru Usman.